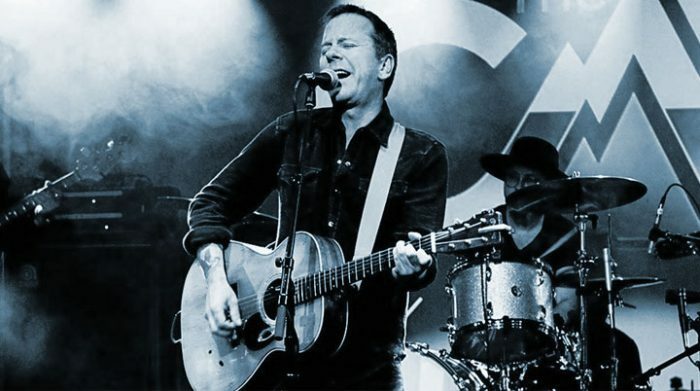 Hollywood actor, producer and musician Kiefer Sutherland and Country music star Lucinda Williams are among the latest top-name artists announced for this year’s Wickham Festival in Hampshire. Also newly con rmed are American folk icon Judy Collins; Scottish favourites The Proclaimers, 70s chart- toppers Lindisfarne and local hero Frank Turner who has just completed a UK and worldwide are;as tour with his band The Sleeping Souls. They join the already-announced Level 42, Gilbert O’Sullivan and Ralph McTell plus Graham Nash of ‘The Hollies’ and ‘Crosby, Stills, Nash & Young’ fame in what Festival organisers are describing as the best-ever line-up in the Festival’s 14-year history. The 7000-capacity Festival is held on elds off Blind Lane, Wickham from Thursday 1st to Sunday 4th August and attracts artists and audience from around the world. Hollywood star Kiefer Sutherland is known for his role as Jack Bauer in the drama series 24, for which he won an Emmy Award, a Golden Globe Award, two Screen Actors Guild Awards, and two Satellite Awards. He is the son of actor Donald Sutherland and the father of actress Sarah Sutherland. Folk singer Judy Collins has enjoyed world-wide acclaim in a career spanning over 60 years and had a huge international hit with her interpretation of Stephen Sondheim’s ‘Send in the Clowns’. American super-group Crosby, Stills, Nash & Young wrote their biggest hit ‘Suite Judy Blue Eyes’ for her and she recently completed a 100-date US Tour with Stephen Stills, performing siongs by her friends Leonard Cohen, Joni Mitchell and Joan Baez as well as her own compositions. The Proclaimers are festival favourites renowned for chart-topping hits like ‘Letter from America’, ‘Sunshine Over Leith’ and ‘(I can walk) 500 Miles’. Fronted by identical twins Charlie & Craig Reid, The Proclaimers last appeared at Wickham in 2015 and are one of the most popular bands on the live music circuit. Also returning to the Festival are 70s chart-toppers Lindisfarne who had a string of his such as ‘Meet me On The Corner’, ‘Lady Eleanor’ and ‘Fog On The Tyne’. Local hero Frank Turner is making his Wickham Festival debut with his band The Sleeping Souls. Frank is no stranger to the area as he grew up just down the road in Meonstoke and started performing in local pubs around Winchester, Portsmouth & Southampton before enjoying worldwide succes. He’s just completed an eight month world tour and his Wickham Festival show is sandwiched between European dates in Austria, Slovenia & Hungary. 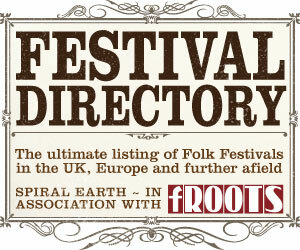 As well as the big-name acts the Wickham Festival also features lesser-known artists from around the globe with an emphasis on traditional folk and world music. There’s live music on four stages plus a host of other entertainment including storytelling, street theatre, a digital funfair, circus skills, childrens entertainers and even a ‘How to train your Dinosaur’ workshop! Full details of the complete Festival line-up can be found on the website www.wickhamfestival.co.uk Day & Weekend Tickets are now onsale priced from £40 to £150 with Under-16s half-price and Under-10s free.